Our Tesco » Latest News » Help us raise some much kneaded funds for Temple Street through the Great Irish Bake! Help us raise some much kneaded funds for Temple Street through the Great Irish Bake! Our next big national charity partner fundraiser, the Great Irish Bake for Temple Street, will take place across all our stores on Friday 5th April 11am-6pm and we’re looking for your help and support to raise as much money as we can! 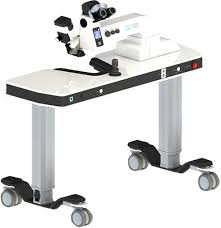 The current YAG laser is now 22 years old and badly needs replacing. The laser is used to treat about 20% of patients who have issues with their vision after cataract surgery. It is the only piece of equipment available suitable to treat paediatrics. Without the YAG Laser surgeons would be unable to provide additional treatment to patients who require it after their cataract surgery. Patients vision will be greatly improved which will obviously have many benefits to them and their families. So please get baking and help us raise some dough for Temple Street!